Gas stoves Huddersfield based are not among the cheapest additions you may make to your home, although if you choose the right options, a new appliance can lower your energy bills. But after spending all that money on a new stove, you may be tempted to cut corners and try to fit it yourself or have a friend do it for you. This could be a false economy. Yorkshire stoves that operate on gas MUST be installed by a Gas Safe registered engineer in order to comply with gas safety legislation. Any other solution could be putting you, your family, and the individual who fits the stove at risk. So what are the risks of having gas stoves Huddersfield based fitted by someone who isn’t qualified to do so? Firstly, of course, there’s the matter of health and safety. With a gas appliance, it’s not as simple as just plugging it in. The gas source, safety devices, operation, and ventilation must all be tested by an expert. Otherwise, you run the risk of dangers such as carbon monoxide poisoning or worse, an explosion, which might not just adversely affect your household, but the surrounding neighbourhood too. Secondly, installation by anyone other than a certified individual invalidates home insurance, not to mention any warranties your new stove carries. Thirdly, installation by anyone other than a Gas Safe registered engineer is, quite simply, illegal. For peace of mind, then, it’s always essential that you use properly qualified individuals. And that’s exactly what you’ll have if you come to Leeds Stove Centre. Our teams of installers have vast experience in fitting gas stoves Huddersfield wide and beyond; and carry Gas Safe Registration and HETAS approval. As one of our customers, we’ll carry out a full site survey before you buy to ensure safety throughout. 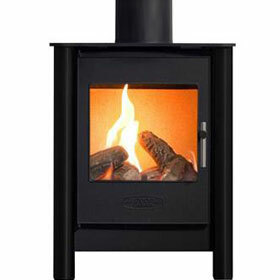 Call us today on 0113 255 5622 to enquire, or view our website at https://www.leedsstovecentre.co.uk/.